It’s common industry knowledge that you can get more for your used car when you sell it to a private party. After all, dealers must cover their overhead, and that’s a key consideration when they appraise your vehicle’s trade in value. Of course, that doesn’t stop people from trading in their vehicles because, although they may get less in return, they avoid the hassle of private advertising, and the inconvenience of waiting for a buyer. Regardless of which route you take when selling your used vehicle, however, there are a number of steps you can take to make sure that you get the most money for your used car. Under the hood: Use a degreaser to clean the engine block, and baking soda and water to clean the battery deposits. A clean engine gives the impression that the car has been well-maintained. Top off all fluids and replace filters (if applicable). Exterior: Wash and wax the car’s exterior. If you don’t have experience waxing a car, consider at least having that task done professionally. A good wax job on your car can bump up its value by a few hundred dollars (and hide small scratches), so it’s worth the investment. Detail the windows inside and out, wash the wheel wells, and dress the tires. Note: For highest sale or trade in value, tires should have some tread on them and they should all match, and the windshield must first be repaired or replaced if cracked. Interior: Repair any minor holes or tears in the upholstery, vacuum the interior, clean the dashboard and all dash displays, buy an air freshener, and empty out the trunk, the glove box (except relevant documents), and the cabin. Dents and dings need to be addressed, especially if there are more than four or five. Hire a ‘dent wizard’, instead of taking the car to an auto body shop. You’ll save hundreds of dollars and the job can be done within a few hours. Of course, major damage, such as that which may require a panel to be replaced, should be repaired by a certified auto repair shop. It’s a worthwhile investment, considering that major damage can prevent your car from being sold at all. 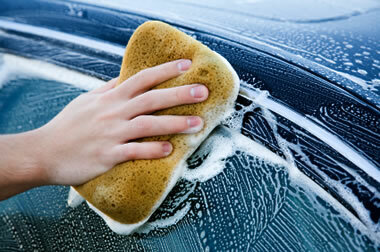 If your car has scratches, you may be able to save money by buffing them out yourself. However, for a professional look, consider hiring someone to do the job. Before showing your car to dealers or prospective private party buyers, make sure you have all of your documentation related to the car in order. 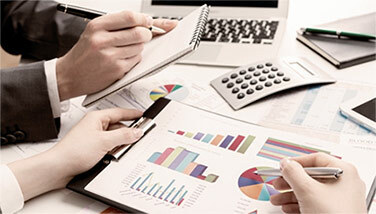 This can include title and registration, as well as vehicle maintenance service records and repair invoices. In particular, if your vehicle was previously involved in an accident, hopefully you knew what should have been your first steps after an accident, and, more importantly, hopefully you followed them. The documentation is important not only related to the accident’s outcome, but evidence such as pictures can help you show the true nature of the damage. Often it will help allay any concerns felt by the person viewing your car. Finally, once your car is mechanically and aesthetically ready, have its true condition assessed by getting local trade in estimates from dealers. Also, look up your car online to see how much others in your area are asking for the same vehicle model since car prices can vary by region. The car’s Black Book and Kelley Blue Book values are available free online as well, and will help you negotiate with dealers, and determine the best sale price if you plan on selling it to a private party. It takes effort to prepare a used vehicle for sale, but your hard work can pay off in the end. When you detail your car, tend to repairs, ensure that it is mechanically sound, and gather all of your documentation, you can end up walking out of the deal with an additional thousand dollars or more in your pocket.